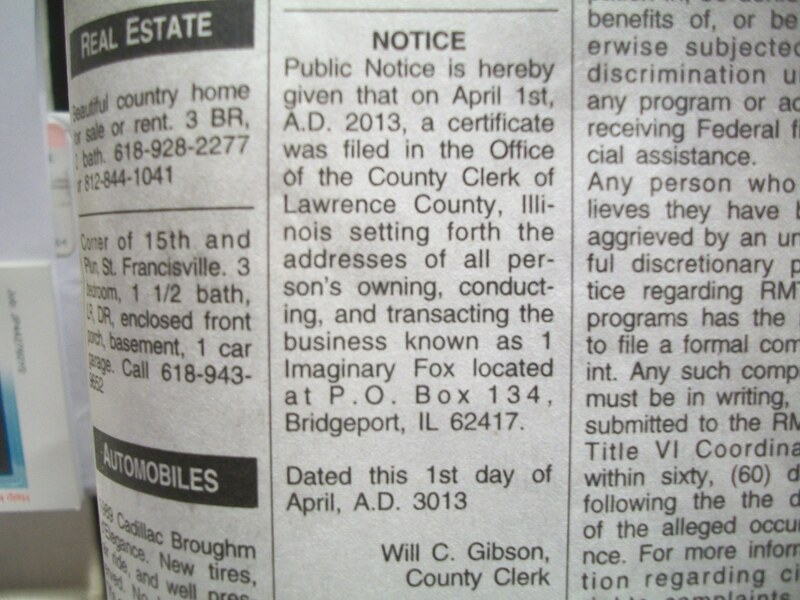 The newspaper ran the first in a series of three notices regarding 1 Imaginary Fox ‘s declaration as a business. Reading this, I feel as though I have reached a milestone that I have long thought of as a dream. The truth is that dreams can come true! Live With Passion! !